The guests have visited the facilities of the Medical Services of the Club guided by Dr. Ramon Canal, director of Sport Sciences of FC Barcelona. 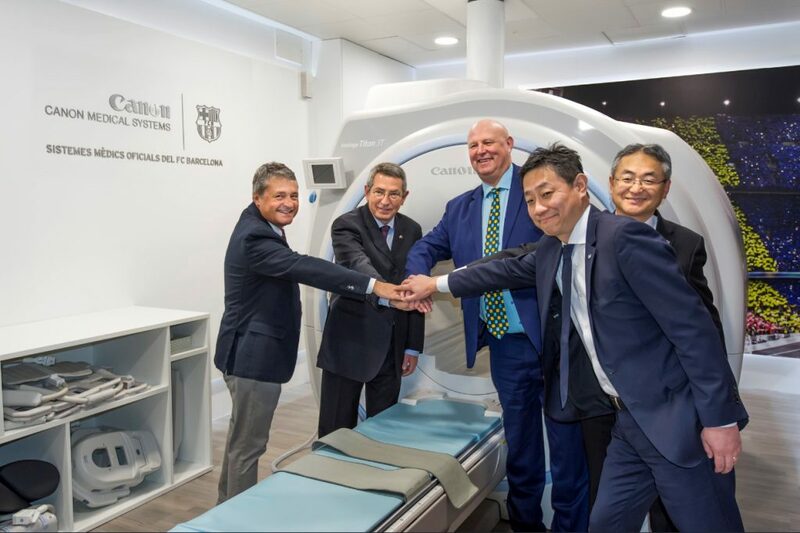 The reason for the visit was to formalize the name change of the company, because last 2017 Toshiba Medical Systems was acquired by the Canon Group and since the 4th of January, the company has become known as Canon Medical Systems. Despite the change in designation, equipment, people, services and technology remain the same, and Canon Medical Systems continues to be the official sponsor of FC Barcelona for medical systems. The Club continues to have access to the departments of Canon Ultrasound and MRI Engineering, which provide the latest advances in diagnosis for image, support and advice for doctors of FC Barcelona.